Magnus used his Russian with two small brigades with artillery. It was all done in the spirit of learning the basics of the rules. So on my left flank I charged with my Landwehr cavalry against one of the Russian battalions that was in a square formation, a very effective formation for the infantry against cavalry. It ended with my cavalry retreating and spending the rest of the battle to get back in to formation. 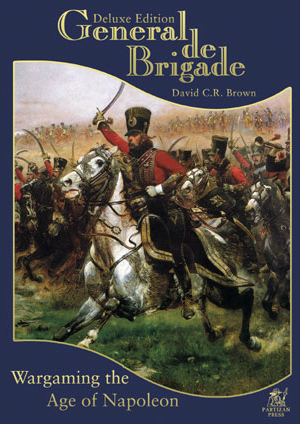 The infantry battalions form the same brigade as the cavalry tried to assault but was stopped both times by the effective Russian defensive fire. The left flank was mostly ineffective firing, with no real fighting. As it was a work evening we decided to end it after turn seven. As far as GdB goes it was a short one, but the prime reason for playing now in the beginning, is to learn how to maneuver an learn how combat and morale works. Next step is some Landwehr cavalry that I ordered from Perry miniatures.